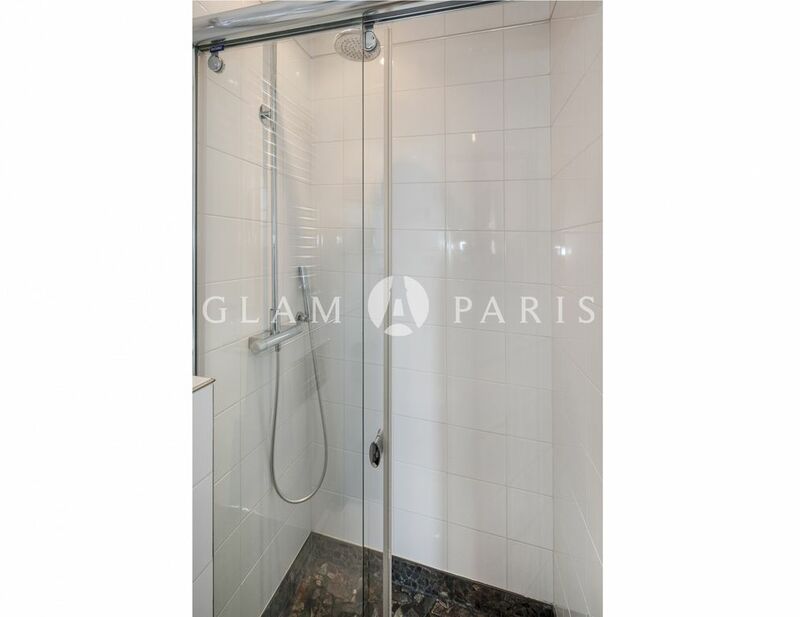 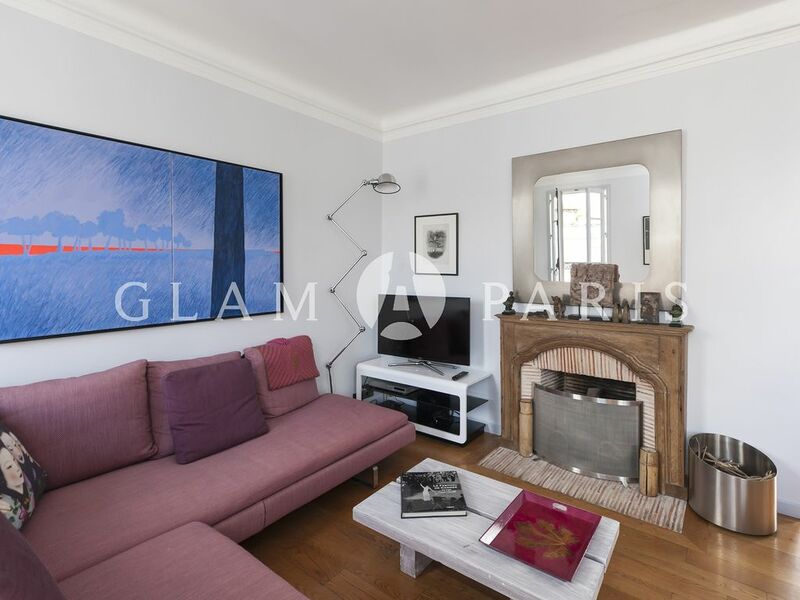 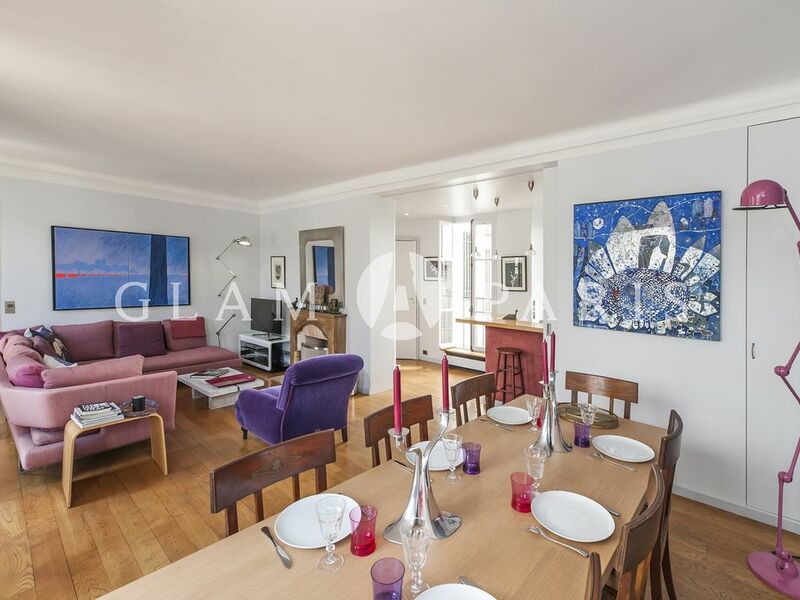 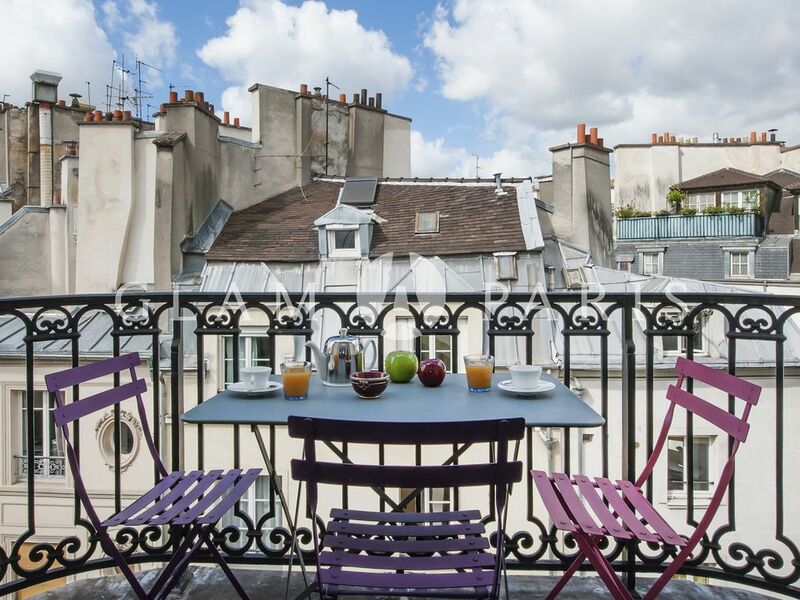 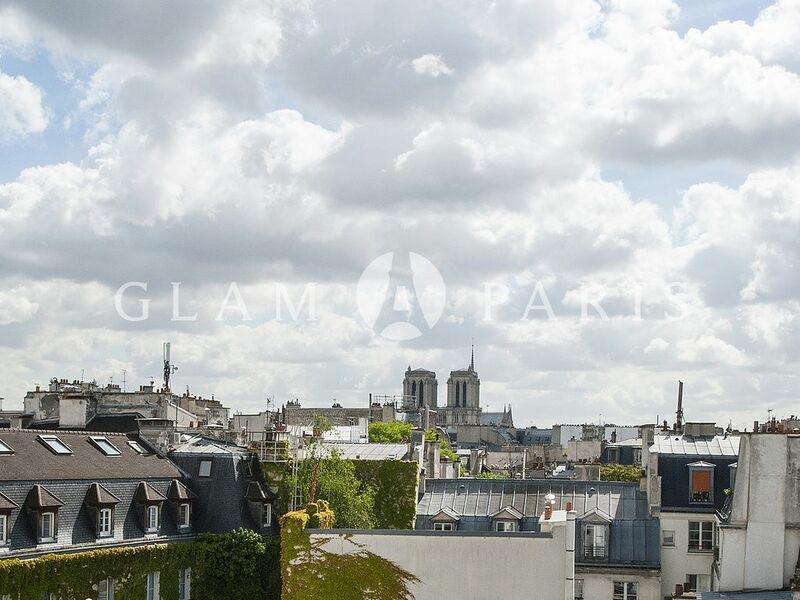 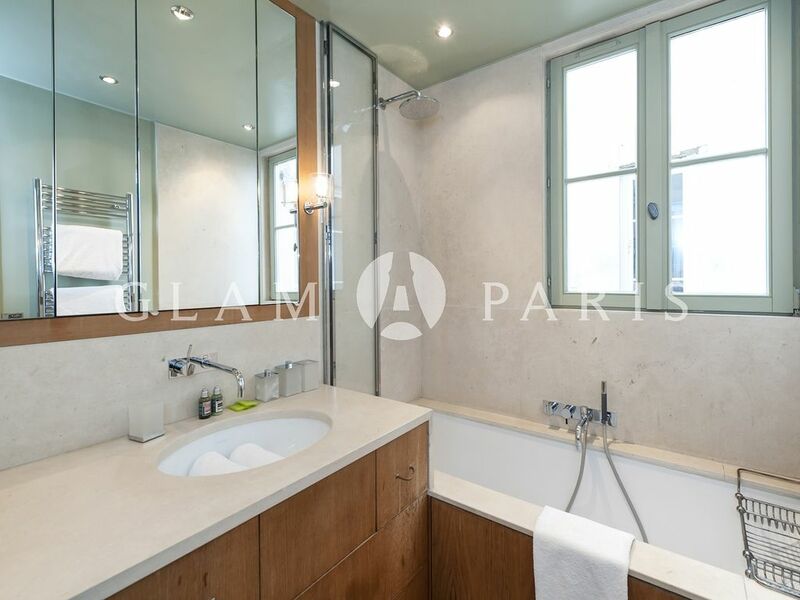 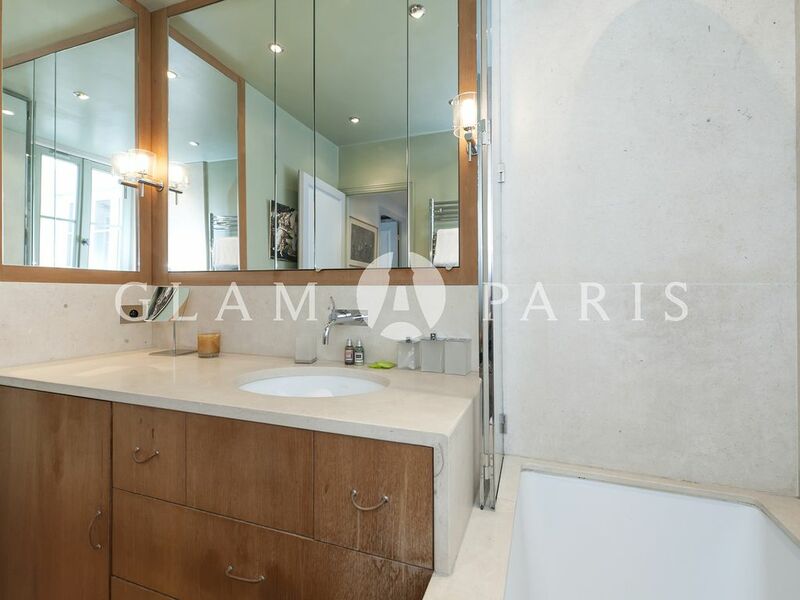 This 2 bedroom duplex is located in the 6th district of Paris, in the rue André Mazet. 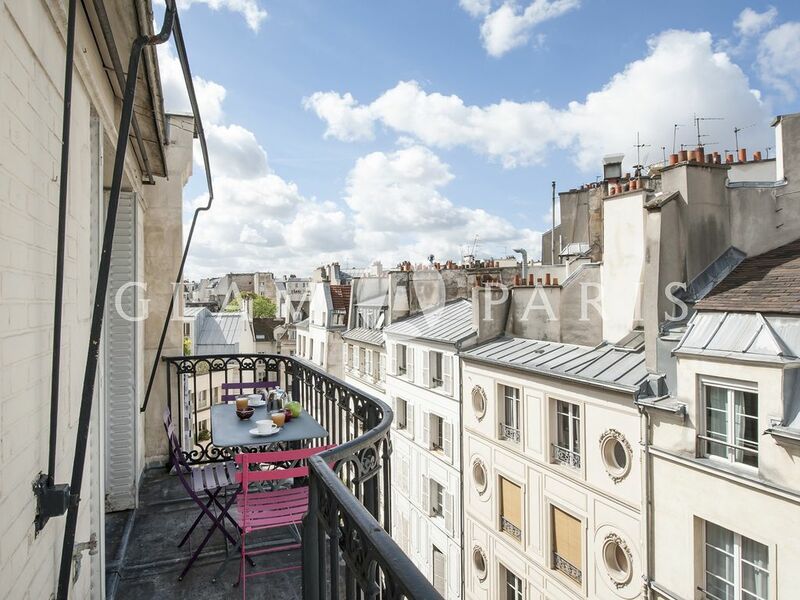 This small street is located between the Seine and the famous rue de Buci. 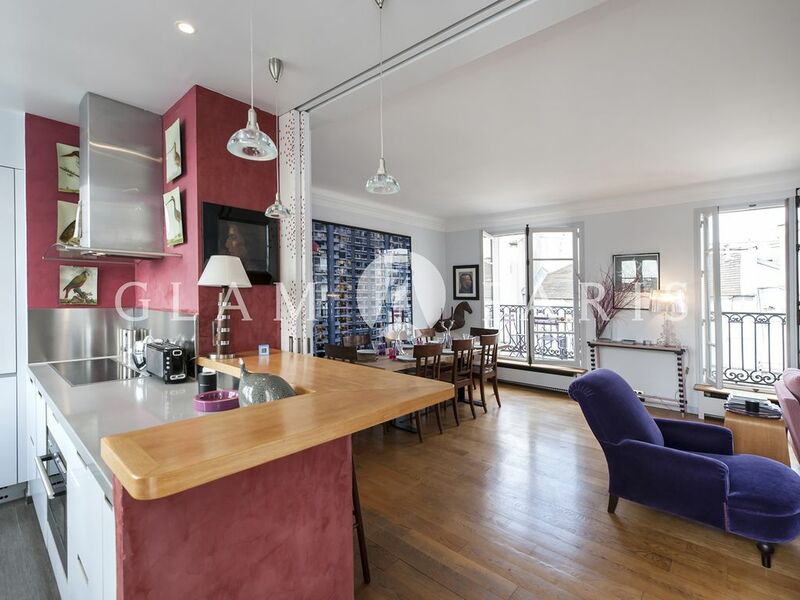 You can find this 95 square meters property on the 6th floor of a building with elevator. 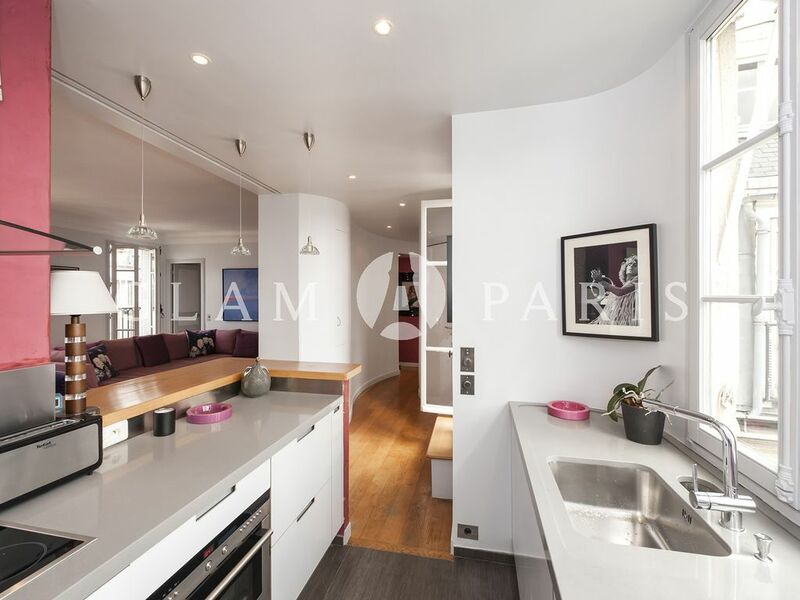 When you enter the apartment, you can see the fully equipped kitchen in front of you. 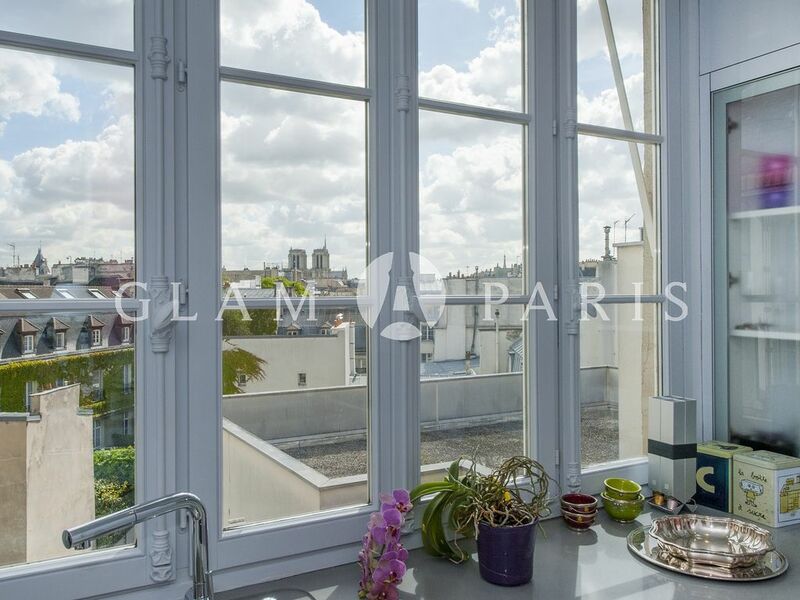 It has a beautiful view on the Notre Dame Cathedral, that you can admire while cooking! 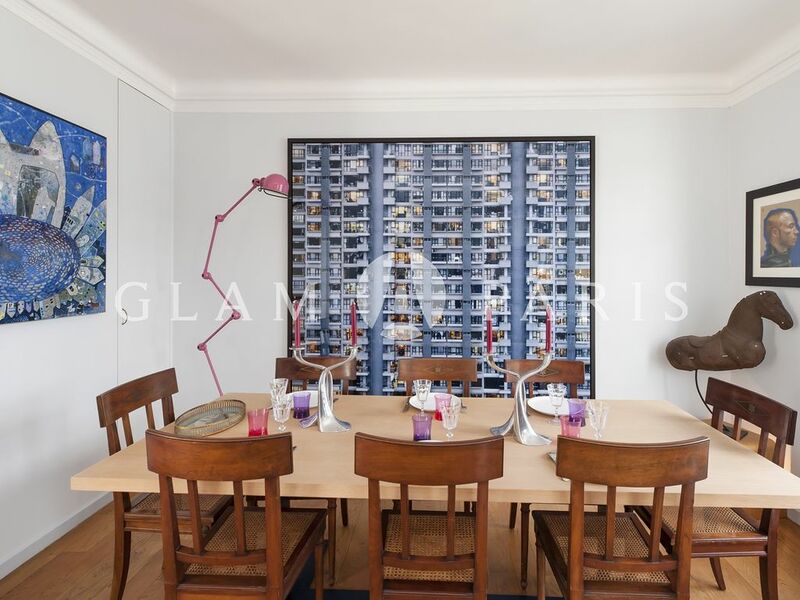 The kitchen is open on the living room and dining area, with a table adapted up to 8 people. 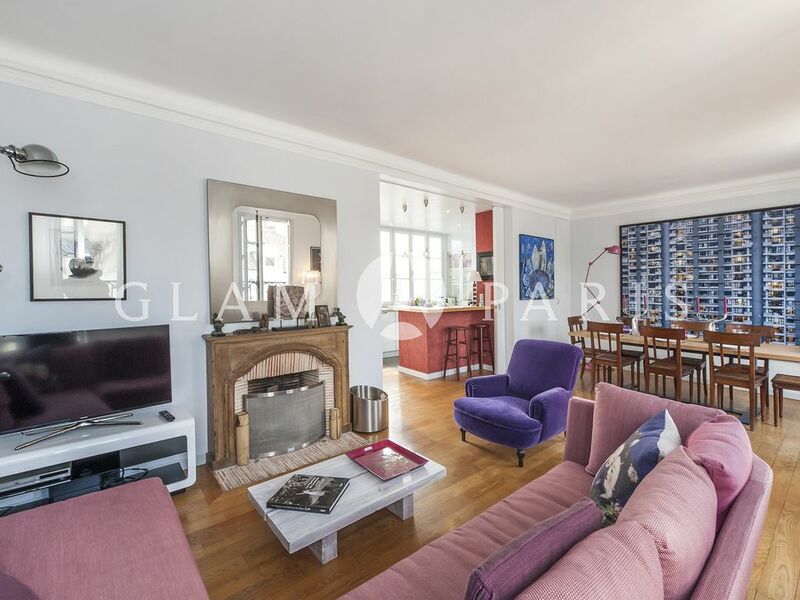 The living room is equipped with a big sofa, a TV with cable including international channels, a telephone (with possibility to call over 100 countries) and high speed Wi-Fi. 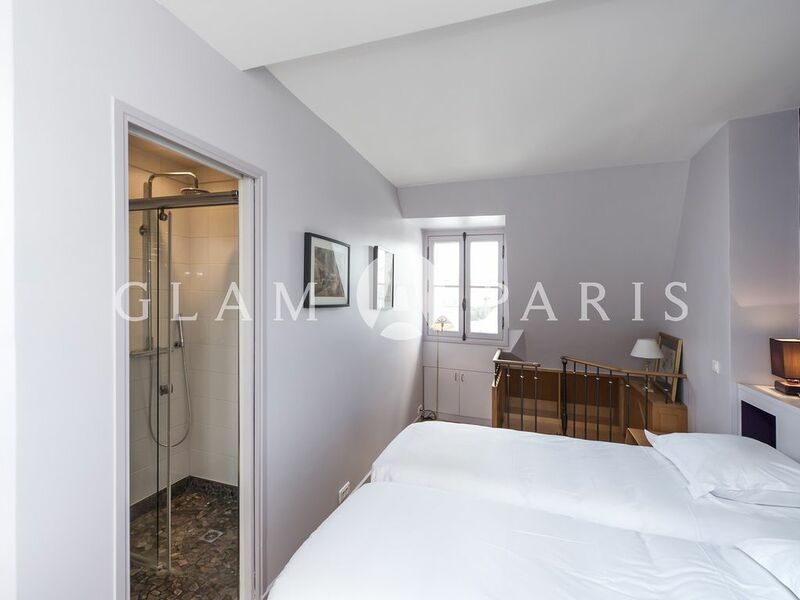 If you take the corridor on the right at the entrance, you will find the master bedroom (again on the right) equipped with a king size bed and overlooking the courtyard, that makes the bedroom really quiet. 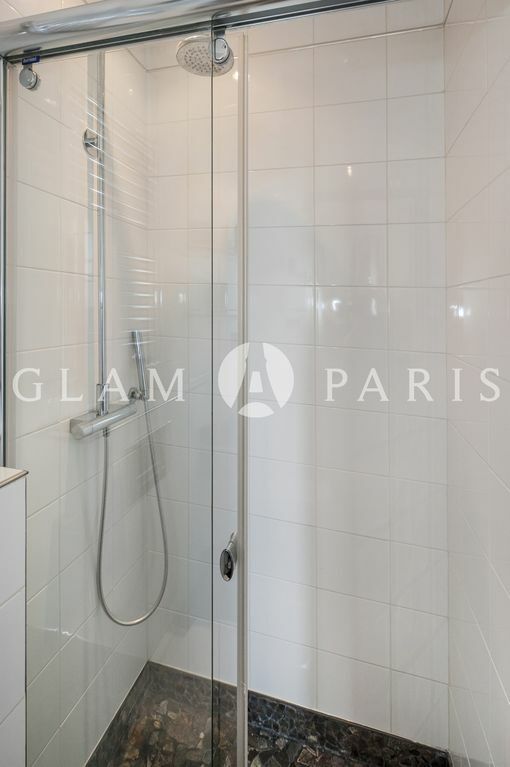 Taking left on that corridor, you will find the separate toilets and the full bathroom, that contains a bathtub with shower, washbasin and washing machine/dryer. 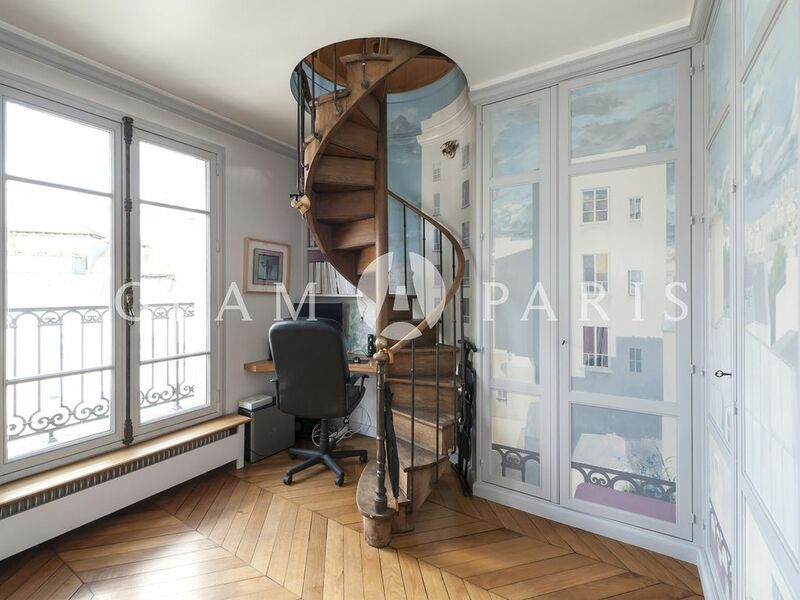 At the end of the corridor on the left, you will reach to the office room with a working space. 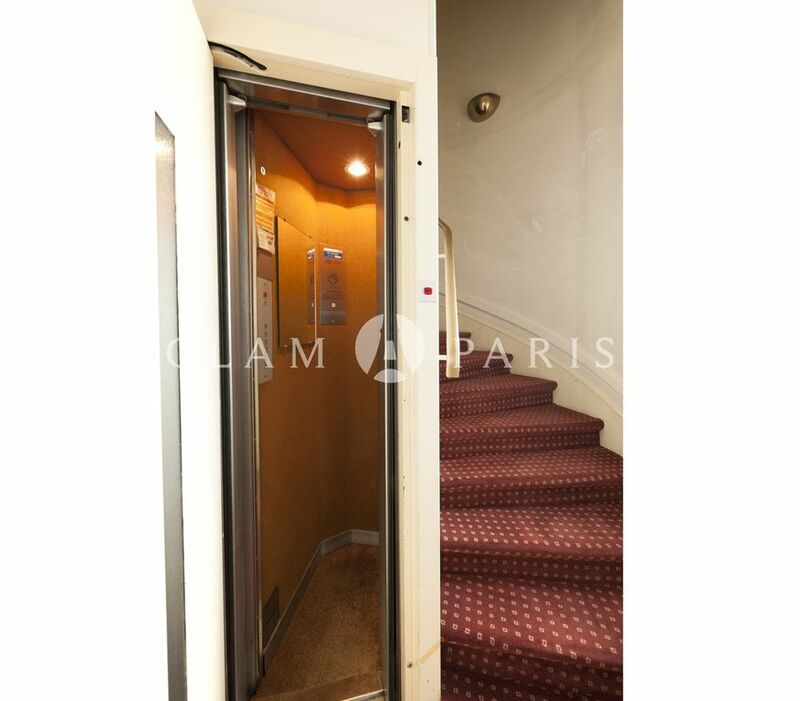 The stairs to get to the upper floor are located there. 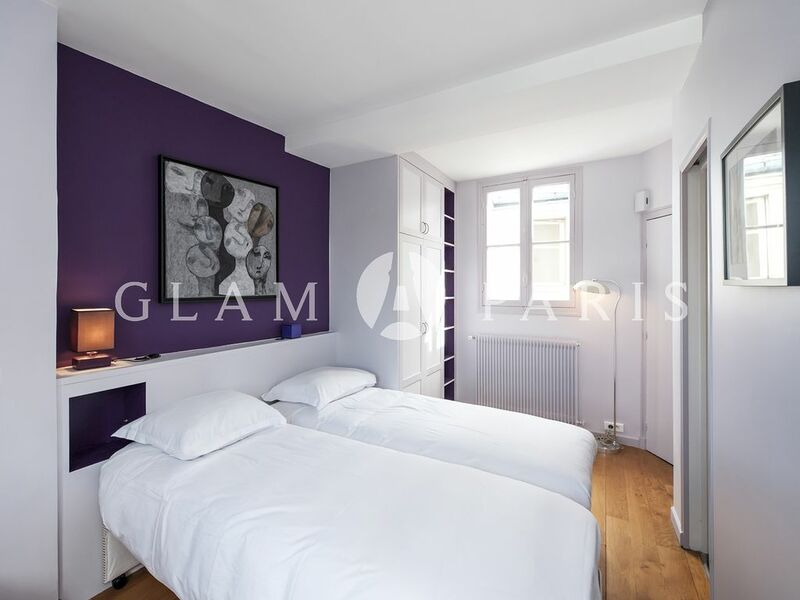 You will find here the second bedroom, equipped with twin beds that can be combined in order to have a queen size bed. 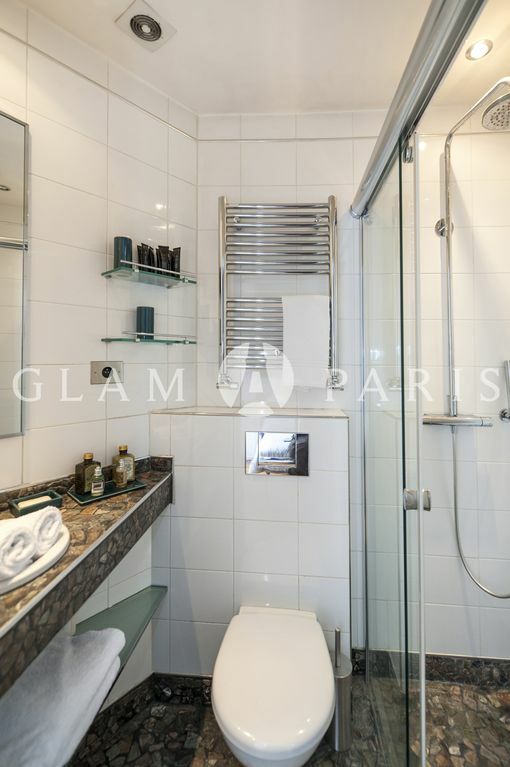 This bedroom has its own full bathroom, with a shower, washbasin and toilets. 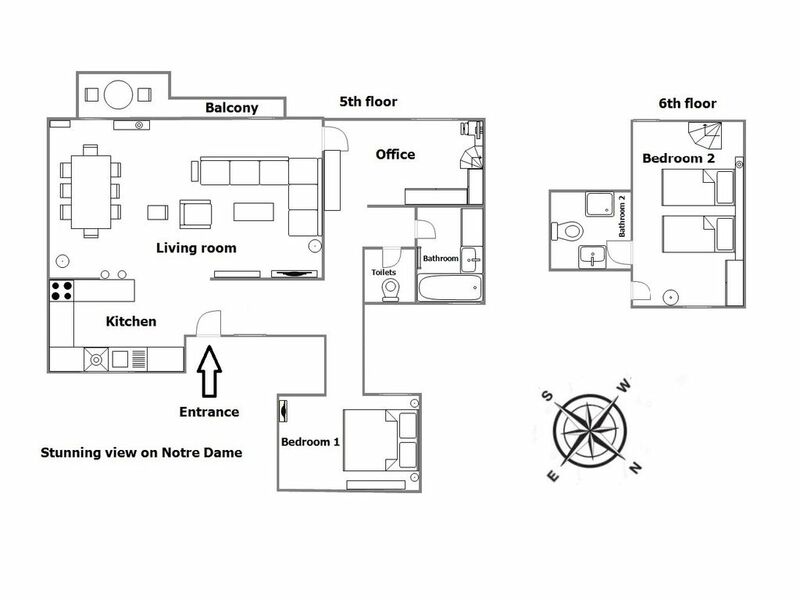 2 guides are provided within the apartment: - An apartment manual with English instructions to help you understand the functioning of the available appliances; - A neighborhood guide to help you figure out the closest supermarkets, bakeries, restaurant recommendations in the area. 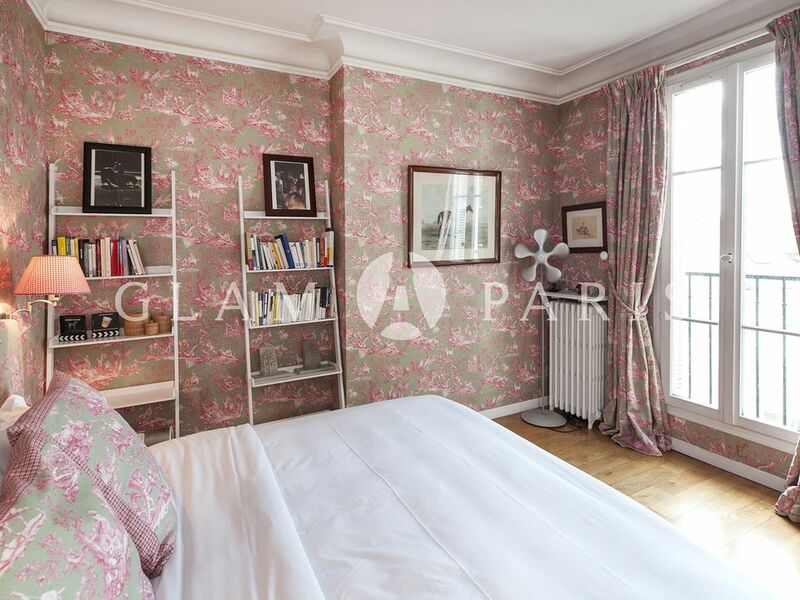 The apartment is 3 minutes away from the metro station Odéon (lines 4 and 10). 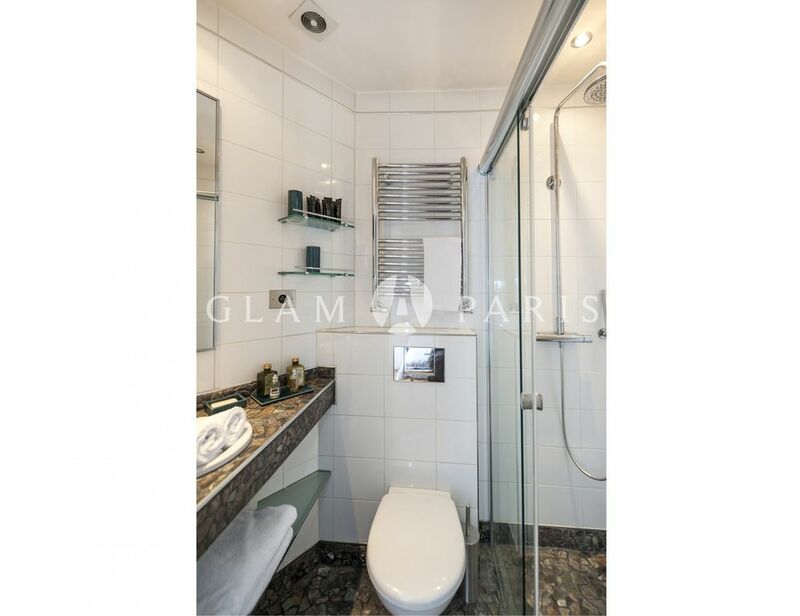 It is a non-smoker apartment and pets are not allowed.